Marilyn Monroe, Tobay Beach, Long Island, NY, (Summer 1949/unknown photographer). Betty Grabble, Lauren Bacall and Marilyn Monroe on the set of How to Marry a Millionaire directed by Jean Negulesco, 1953. Here are Gillian Anderson & David Duchovny by George Lang. Marilyn Monroe by George Barris at the Santa Monica Beach while she was filming her last (uncompleted) film, Something’s Got to Give, in in 1962. Check out this colored portrait of Rita Hayworth by Earl Theisen. Marilyn Monroe by pin-up artist/photographer Earl Moran (shot between 1946 and 1950). 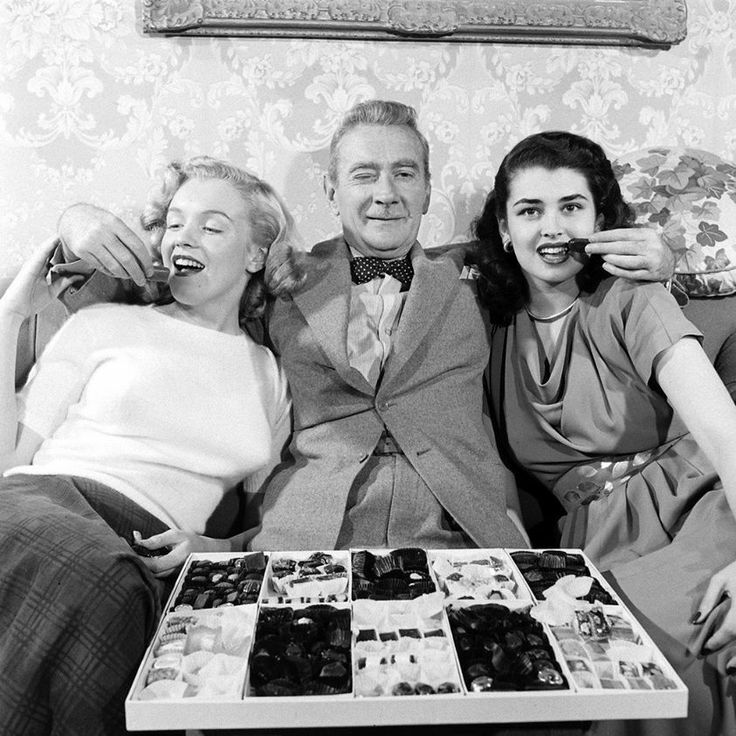 Marilyn Monroe, Clifton Webb and Laurette Luez hanging out. Marilyn Monroe at the age of 21, with Clifton Webb and Laurette Luez on the set of the 1948 comedy, "Sitting Pretty". Posted on April 20, 2015 April 17, 2015 Categories AprilTags Clifton Webb, Laurette Luez, Marilyn Monroe, on set, Sitting PrettyLeave a comment on Marilyn Monroe, Clifton Webb and Laurette Luez hanging out.